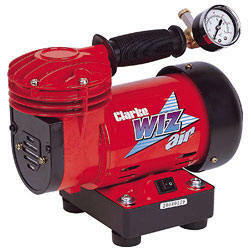 If you’re looking for a compressor to provide oil free air for air brush work – here it is. It is exceptionally light and ultra quiet - less than 55db, which about as noisy as your average office. This maintenance free model includes a carry handle, on/off switch, rubber feet, gauge and pressure release valve.